NEW YORK (Reuters) - John Murante, a conservative Nebraska senator, last year introduced a bill to prevent non-citizens from being counted when the state redraws its voting maps. 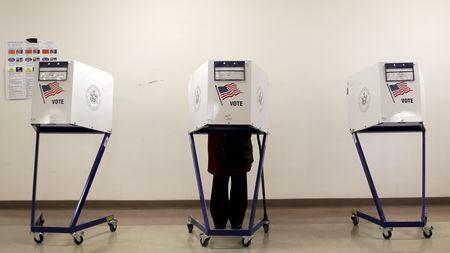 He said the effort aimed to ensure each election district contained similar numbers of voters, but opponents argued it intended to undermine the political power of immigrant communities. Murante's bill died after its critics pointed out a lack of granular data on where the state's non-citizens live. That data may soon be available. The Trump administration believes its proposed question about citizenship on the 2020 Census will help states that want to draw citizens-only voting districts in the next round of redistricting by providing the first comprehensive data on non-citizens in about 70 years, according to a Reuters review of court and federal register documents and interviews with more than a dozen state lawmakers. Such a change would provide a new opportunity for Republican-controlled states - those most likely to adopt citizens-only redistricting - to redraw their voting maps in a way that could help their party win more state-level elections. Currently, state and federal voting districts are drawn to be roughly equal in population, regardless of how many residents can legally vote. That means tallies for district-drawing purposes include non-citizens, such as green-card holders and undocumented immigrants. Democrats and immigrant rights activists say this system ensures elected leaders represent everyone in their district who depends on public services such as schools and trash pickup, regardless of voting eligibility. Republicans argue that districts should be the same size so each vote carries the same weight. If one district has far fewer eligible voters than another, each vote there has more influence on election outcomes. That's a problem for Republicans because the eligible voters in immigrant-heavy districts tend to support Democrats. Trump administration officials have been considering the merits of citizens-only redistricting since 2017 - well before announcing their intention in March 2018 to add the citizenship question to the decennial survey, according to court documents filed as part of litigation over the citizenship question. And in December, the Census Bureau issued a notice in the Federal Register saying that if any states “indicate a need for ... citizenship data” to use in redistricting, it would “make a design change" to provide it. Republican lawmakers in Texas, Arizona, Missouri and Nebraska told Reuters they would consider making use of the citizenship data if it became available. The tactic is prohibited at the federal level by past U.S. Supreme Court decisions that have interpreted the U.S. constitution as requiring that U.S. House districts be based on total population. But the court, in a 2016 case known as Evenwel v. Abbott, left the door open for state-level districts to use other metrics. The Commerce Department, which includes the Census Bureau, declined to comment on whether redistricting was part of the motivation for proposing the citizenship question. James Whitehorne, the chief of the Census Bureau's Redistricting & Voting Rights Office, called the federal register notice routine. "We’re supposed to provide states with what they identify as needing," he said. U.S. voting districts are drawn at the state level, most often by state legislators, giving the party in power control over how the lines are redrawn. While both Republicans and Democrats frame the debate over citizen-only districts around fairness, demographic experts point out that both sides have a lot at stake politically. Data from the nonpartisan APM Research Lab showed that 95 of the 100 U.S. congressional districts with the highest foreign-born populations are represented by Democrats. Similar data for state-level seats was not available. Redrawing such districts with citizen-only populations would give Republicans a better shot by expanding the districts into more conservative areas, said Albert Kauffman, a professor at St. Mary's School of Law in San Antonio who has studied redistricting and opposes excluding non-citizens. In Texas, a citizens-only map could strip Latino voters of majorities in two or three state senate seats and six or seven state representative seats, Kauffman said, pointing out that Hispanic voters traditionally lean left. "Democrats know they would probably lose seats at every level," Kauffman said. Immigrant rights activists and Democratic-led cities and states have sued the Trump administration to prevent it from asking census respondents about their citizenship, and the Supreme Court will decide by June if the question can remain. Opponents argue the administration aims to use the question to intimidate immigrants out of responding to the census, which would cost their communities political representation and a share of about $800 billion in annual federal aid allocated based on population. The administration disputes that. Commerce Secretary Wilbur Ross said his decision to add the question was aimed at getting the Justice Department the comprehensive citizenship data it needs to better enforce Voting Rights Act provisions that protect minorities from discrimination. Ross has not publicly commented on how citizenship data might be used in redistricting. 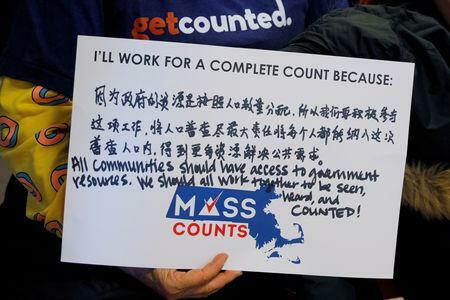 But Census records, as well as emails released during the litigation over the citizenship question, showed he was thinking about citizens-only redistricting well before he announced plans to add the question. In April of 2017, at the behest of former White House Chief Strategist Steve Bannon, Ross spoke with former Kansas Secretary of State and noted immigration hawk Kris Kobach, according to the emails. One topic of discussion was "the problem that aliens ... are still counted for congressional apportionment," according to a subsequent email from Kobach to Ross describing their conversation. The following month, Ross asked Commerce Senior Policy Advisor David Langdon to look into whether non-citizens, including illegal immigrants, are included in voting maps, according to Langdon's deposition in the litigation over the citizenship question. Kobach and Langdon did not respond to requests for comment. A handful of states will likely request the census data on citizenship if the question survives its legal challenges, state lawmakers and a Republican strategist told Reuters. Lawmakers and state officials from Arizona, Missouri, Nebraska and Texas said in interviews they are considering citizen-only districts. Republicans in Tennessee also voiced support for citizens-only redistricting in court papers filed in the Evenwel Supreme Court case. Reuters reached out to several of the Tennessee lawmakers who signed the court brief, but all declined to comment. Missouri Representative Dean Plocher, a Republican who sponsored unsuccessful legislation last year to base Missouri's voting districts on citizen population, said the effort is aimed solely at equalizing the power of all votes in the state. He said he hadn't considered how such changes might affect his party's chances in elections. Nebraska's Murante - the former senator behind his state's failed citizens-only redistricting bill and now the state's treasurer - said he supports citizens-only maps because the state's constitution requires that "aliens" be excluded from voting districts. Immigrant rights activists counter that citizens-only districts could be forced to expand in ways that weaken the political influence of immigrant communities. The effect could be particularly pronounced in places such as south Texas, where immigrants make up more than a quarter of the population, said Juan Hinojosa, a Democratic state senator. 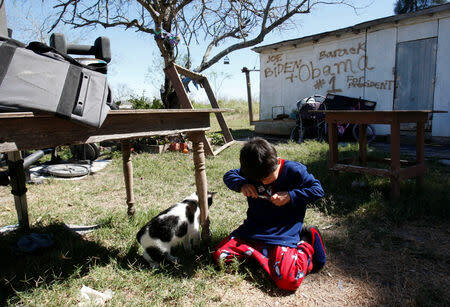 Hinojosa’s district includes areas known as colonias — informal communities of poor, largely Hispanic families. Citizen-only redistricting would make it more likely that anti-immigration Republicans would win elections in the border region, Hinojosa said. The question of how to count non-citizens in voting districts may end up at the Supreme Court, said Kel Seliger, a Republican Texas state senator, who told Reuters that lawmakers there would explore citizen-only maps.